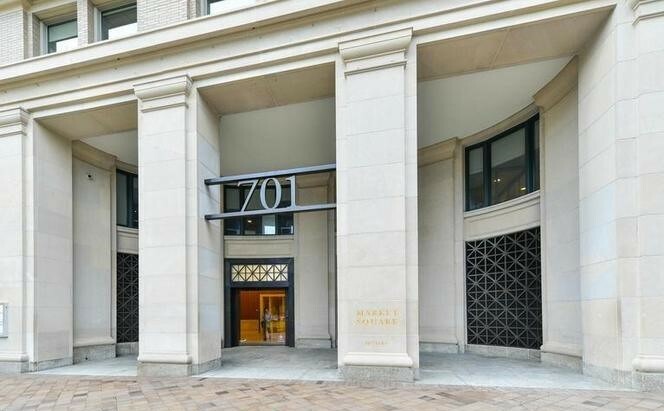 Located above the Archives Metro Station on Pennsylvania Ave, Market Square was one of DC’s first mixed-use properties with office, retail and residential spaces. 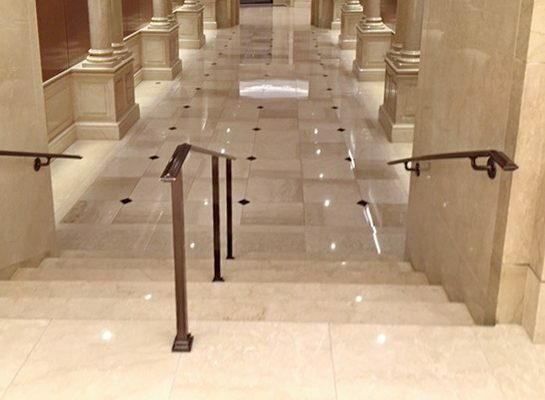 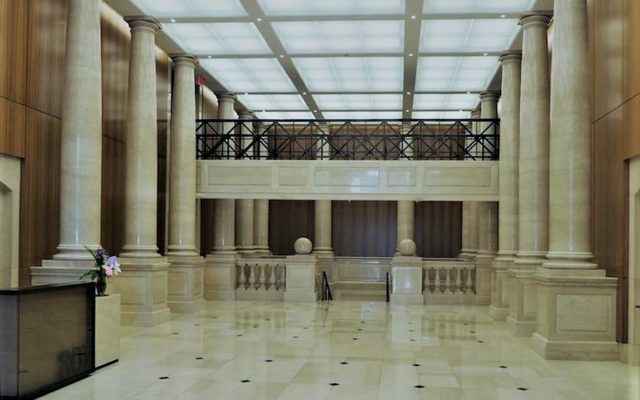 While working for a local general contractor, MJT3 served as Superintendent for the lobby renovation of the 701 Pennsylvania Avenue portion of the two-building complex. 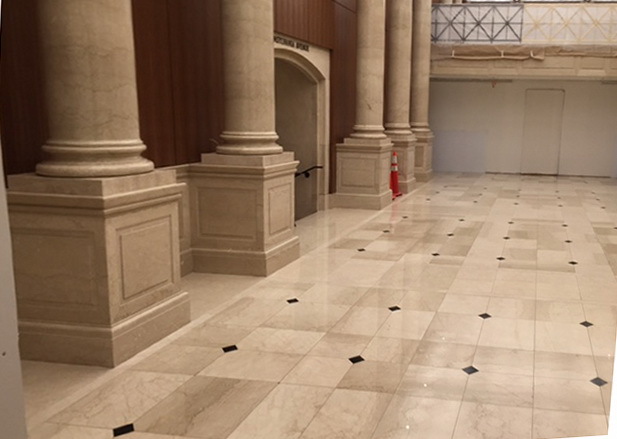 The entrance and lobby of the trophy office property remained fully functional during construction. Four tons of exterior stone columns, new imported pavers, and a store front of insulated glass mullions and bronze cladding improved the entryway; providing an updated and less obstructed view. 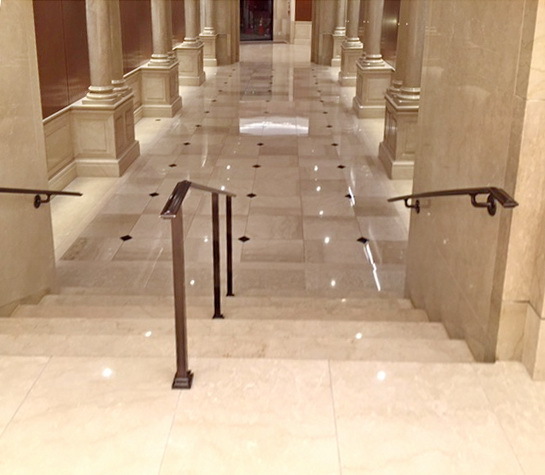 Interior renovations included the removal of dated red stone inserts from marble floors and the addition of bronze finishes. 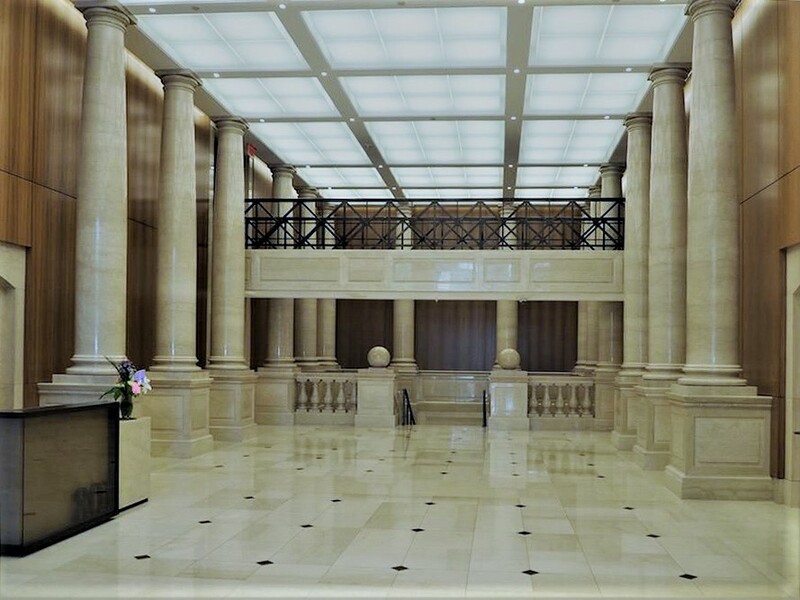 It was MJT3’s solution to have an intricate scaffold dance floor built to facilitate the installation of LED lighting grids to ceilings in both the 701 and 801 buildings. 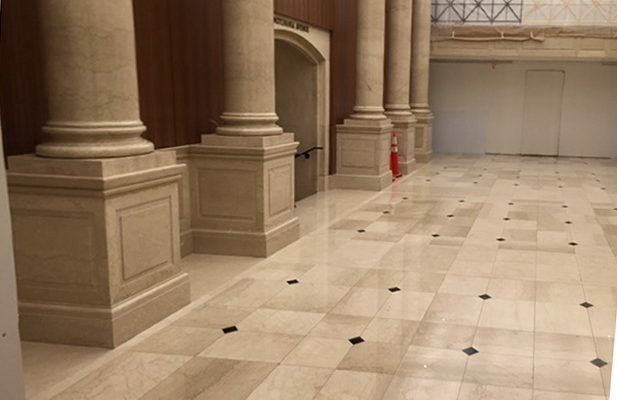 This project was the 2017 ABC Award of Excellence Winner – Commercial Renovation $4 Million and over.